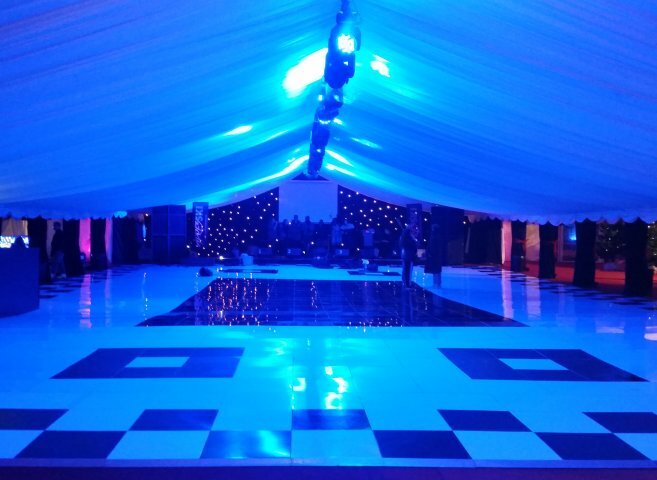 Our Black and White dance floors always looks immaculate in appearance and because of the unique interlocking design of the panels we use we can produce a flat surface that will not separate. 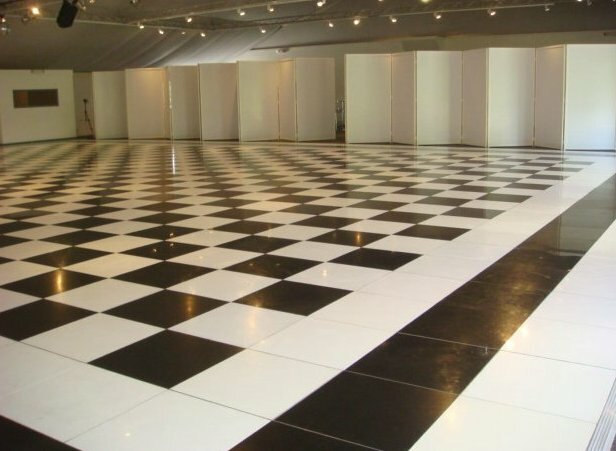 The timeless elegance of black and white dance floors bring mystique and drama to your special event or occasion. 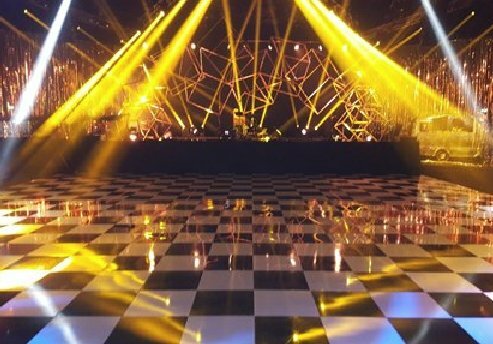 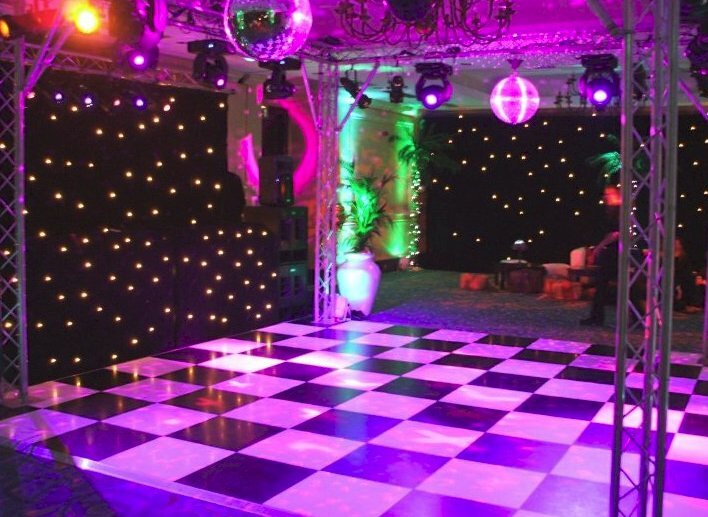 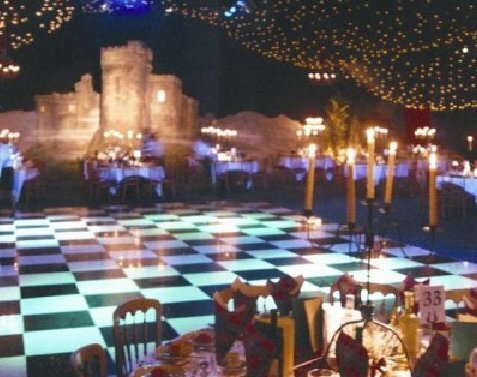 Black and white chequered floor has for years been one of the more popular dance floors adding sophistication to your event. 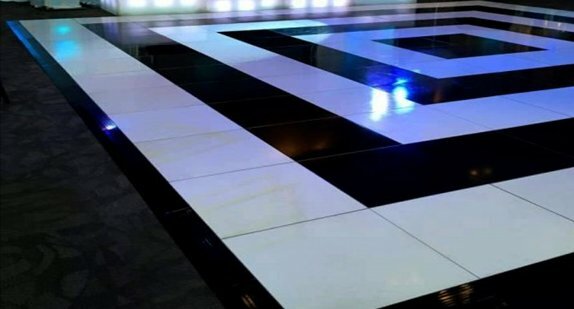 This floor is in 600mm square sections and is compatible with all of our other floors types.